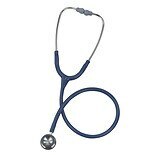 Stethoscopes for children can have tunable diaphragms so you don't have to flip the chestpiece over to hear both high and low frequencies. Simply alternate pressure on the chestpiece to hear the low or high frequency. 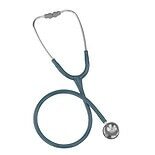 Children stethoscopes are sized to facilitate finding the sound sources in pediatric patients. For patient comfort, there are "no-chill" chestpieces. 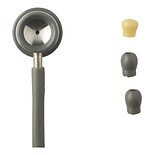 For your comfort, some models of pediatric stethoscopes have soft ear tips. 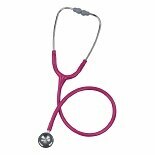 Looking for other stethoscope options? 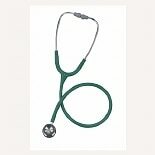 We also carry stethoscopes for nurses, lightweight or cardiology stethoscopes and dual head stethoscopes. Caring for someone can be made easier with home medical products designed to improve patient care and quality of life. Our home medical area includes mobility aids and bathroom safety solutions as well as medical nutrition, incontinence and braces and supports. Our patient care section ranges from basic cleansing and wound care to lab coats and scrubs. There are cleansers available in convenient wipe form and those that require no rinsing. No rinse shampoos and no rinse body baths as well as convenient disposable washcloths are designed for easy cleaning.